Branding and redesign of Geniantsandbox.com to 404uxd.com. 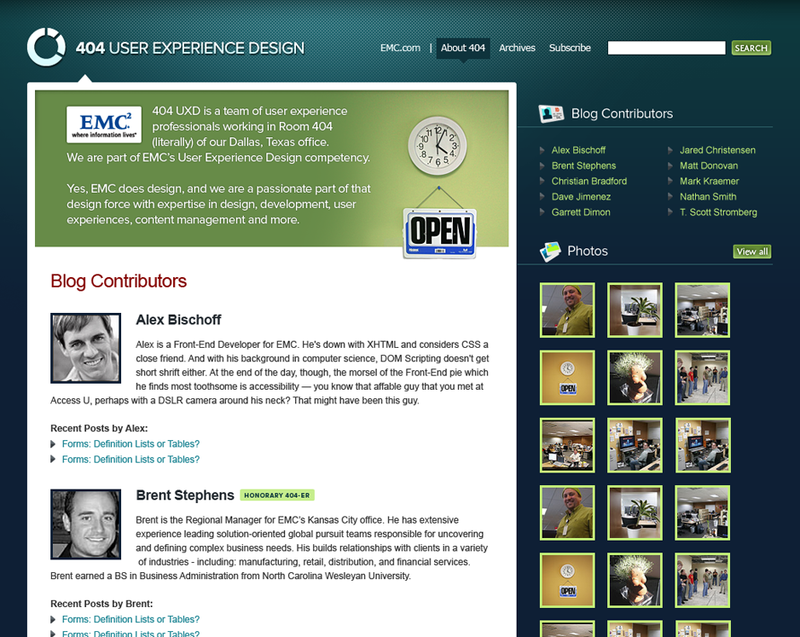 I created the new visual design and it was built by the 404 User Experience Design team. In July of 2007, Geniant was acquired by storage and consulting giant EMC. The Geniant Blog, which had been our primary company blog, was now saddled with obsolete branding. Since the majority of the Geniant blogging corps belonged to the user experience group, we decided to retire The Geniant Blog and launch a more design-centric web presence for ourselves — 404uxd.com. 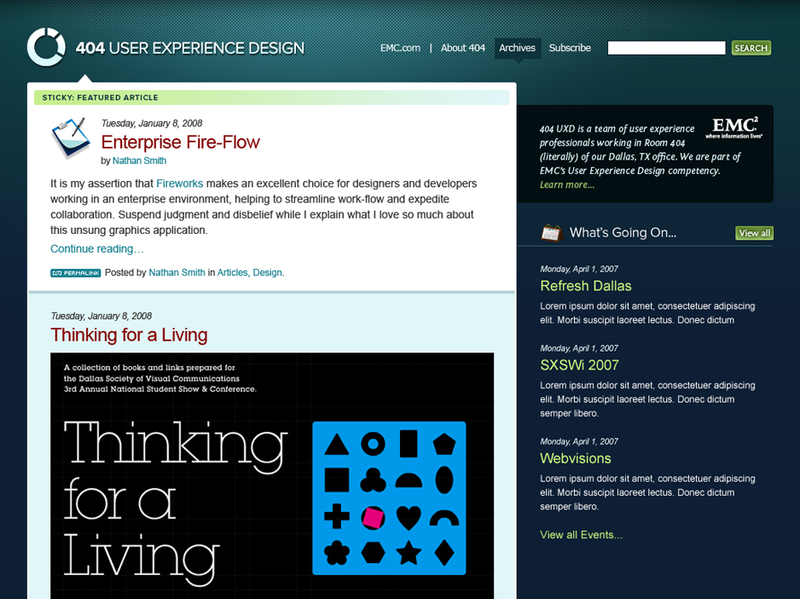 The new site basically repurposes the design of The Geniant Blog (why get rid of a good thing? ), is equipped to handle multiple entry types in a quasi-tumblelog style and establishes a new identity for the user experience professionals working in the Dallas office. 404UXD has been featured on Unmatched Style, We Love TXP, Design Shack, CSS Tux, Konigi, Most Inspired, and more.